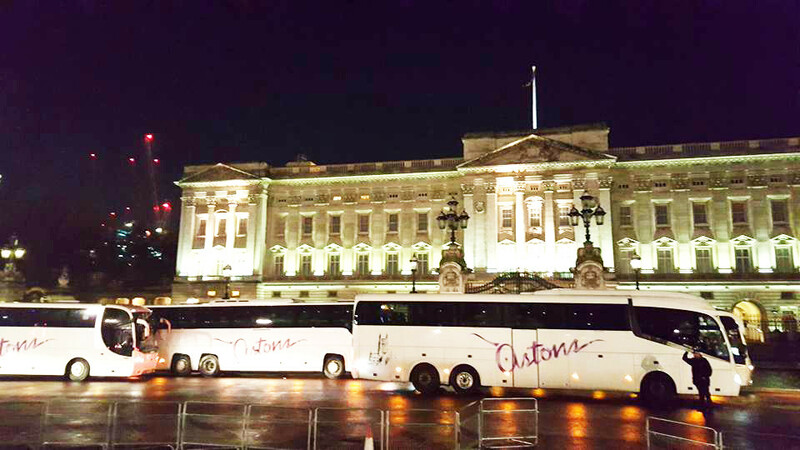 Astons Coaches had the pleasure of transporting the Three Choirs Festival Association (Hereford, Gloucester & Worcester) to Buckingham Palace in November of last year. A convoy of six of our coaches travelled to London to deliver just under 300 members of The Three Choirs to the Ballroom at Buckingham Palace for their Tercentenary Celebrations. To read the thoughts of Kate Whitson, Administrator of The Three Choirs Click Here.